Senator JV Ejercito believes that the magical performance of the Team Philippines during that 2005 Southeast Asian Games here can be duplicated when the country stages again the biennial meet later this year. The 49-year-old legislator believes on the capabilities of every Filipino athlete despite tremendous pressure to win again the overall title in the Nov. 30 to Dec. 11 event. However, playing in front of the hometown crowd is a big advantage. 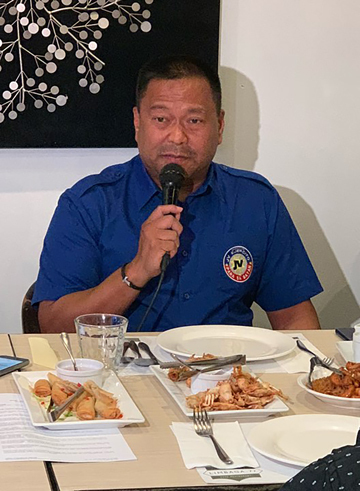 “As host, there’s pressure that we have to perform,” said Ejercito, a member of the senate committee on games amusement and sports, in a briefing at the Limbaga 77 Cafe Restaurant in Quezon City. Ejercito said the country’s hosting of the 30th SEA Games is also an opportunity to boost the tourism, as spectators from 10 other countries will be watching the event. “It’s always an honor to host, especially the SEA Games. Of course, that will be good for us, for tourism and for the country’s image if they are able to host big events like this,” he said. Ejercito, a strong supporter of safety driving among motorcycle drivers, who recently asked President Duterte to review the law requiring bigger license plate, said that organizers should come together to ensure a successful hosting of the SEA Games. In the history of the biennial event, this will only be the fourth time that the Philippines will stage the SEA Games and the Philippines SEA Games Organizing Committee is fast tracking with its preparation, particularly on the different venues.